This Lime Chicken Soft Taco recipe is really a staple menu item for the summer. I found the recipe years ago on AllRecipes.com, and it was an immediate hit with the whole family. It’s a fantastic Fuel Pull meal starter that is super quick to pull together. And it can easily be converted to all Five ways THM style: from Fuel Pull, E, S, S Helper, or Crossover territory with toppings…I show how in the link. Chicken breast or tenderloins (2 pounds), Red Wine Vinegar, limes, green onions, fresh garlic, oregano…and salt/pepper/sweetener of choice. Just a warning: this comes together SO quickly that you’ll want to have your side dishes ready and your table set and ready to go! I LOVE a good quick cook meal! Then, take a medium saucepan, and just drop all of the chicken pieces in and set it on medium heat. No oil, no salt…no nothin’ but chicken and heat. This is such a FANTASTIC and quick way to cook chicken. I actually do this technique now with any recipe calling for pre-cooked chicken (soups, chicken salad, chicken pot pie, etc.) I usually don’t bother to pre-season or marinate the chicken with this technique, but you totally could if you wanted to. It takes 10-15 minutes to cook, and you’ll just stir it on occasion. It gets all juicy and bubbly for a bit, and then the juices cook down and you can check to see if the pink is gone. While the chicken cooks, get the sauce ready…first dice up the garlic and snip the green onions. Speaking of green onions, I cut this batch off several days ago to where the tops just barely reached the top of my pitcher. Thanks to this awesome Pinterest Kitchen Tip, I stuck them into some water, and they re-grew THIS much in just a few 4-5days! Finish assembling the sauce while the chicken cooks up…adding the vinegar, oregano, salt and pepper, and a few shakes of NuNaturals or your sweetener of choice. And the essential limes. Isn’t this lemon/lime squeezer is so cool. I almost use it daily. You put the lime or lemon half in with the cut side facing down, and squeeze the juices out…it turns the citrus wrong side out, and keeps the seeds from going into your recipe. You can find this on in my Amazon store under Kitchen Gadgets (the menu is on the right hand side). Since it only handles citrus, I just rinse it off well between uses. Once you get the sauce assembled, and the chicken cooked, just pour the sauce over your cooked chicken and serve! We enjoyed them S style, and the growing kids enjoyed them crossover style with chips. Here’s your printable Lime Chicken Soft Taco Recipe. Enjoy! A zesty lime sauce over quick cooked chicken breast chunks is the base for this summer feast...a staple of our summer menu! This dish is a Trim Healthy Mama fuel pull, and can be converted to any meal style by just switching out sides & toppings. Remove tendon from tenderloins if desired, and dice chicken into 1" chunks. Put chicken into medium saucepan over medium heat. Cook, stirring occasionally until cooked through and no longer pink, about 15-20 minutes. Do not allow to brown, as it will get too dry. While chicken is cooking, combine all ingredients for sauce. When chicken is finished cooking, add sauce and serve. S Style;: -Use real sour cream, guacamole, cheese, and/or olives for an S meal. E Style: -Add up to 1½ cups of fat free refried beans, or black beans as a side dish, OR ¾ cup of brown rice. Or use a smaller portion and a half a piece of fruit or an S dessert. S Helper: Go with your S style meal, and add ⅓-1/2 cup of beans OR ¼ cup of brown rice to your meal. Crossover Style: I serve tortilla chips for my kids when I'm serving S style meals, or you could add a side of beans or brown rice for them. If I'm serving E style, then I just set out cheese and sour cream for them to enjoy. Hope you enjoy this easy family favorite! Now Check out More Great Recipes on Trim Healthy Tuesday! This week, Stacy is making a THM friendly baked chicken salad recipe that you should also check out! I’m SO much enjoying all of the new links, recipes, and posts! Thanks for participating. Please keep in mind the guidelines below. Accepted post topics will be: Trim Healthy Mama-related recipes, kitchen tips, weekly menus, ‘how to’ articles, or exercise tips. MODEST before and after photos may be attached to any of the above. Please do not link personal progress reports or non-THM recipes. You may post links from YOUR blog to recipes that are Trim Healthy Mama friendly. They can be S (satisfying), E (energizing), FP (Fuel Pull), or Crossovers. Please note which of these categories your recipe falls under. Nutrition information for your recipe is helpful, but not mandatory. Please respect the copyright of the book, and do not post recipes from the Trim Healthy Mama book on your blog or in this link up. You MAY post recipes that you’ve changed to make your own, but nothing verbatim from the book. 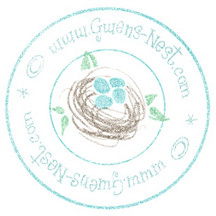 Please link your post back to this post on either one of the hosting blogs: Gwen’s Nest or Stacy Makes Cents. Please feel free to use the banner above. 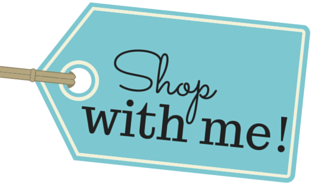 Your link in will show up on both blogs! **See this post for more about this Trim Healthy Tuesday link up. Thank you for playing along! Yay! Glad you enjoyed it! It’s really a very versatile main dish, and you can even play around with the seasonings if you wanted to go more Greek or Italian with it. Yay! SO glad it was a hit…we love it too! how does the low carb tortilla fit in with fuel pull or an S meal? I’m trying to do this but stay confused continually. Feeling frustrated!!! If I want to keep this in FP mode – how many can I have? 3oz chicken I get – just one low carb tortilla with that? Yes…it depends on your tortillas. My favorite way to FP something like this is to do a bed of chopped lettuce, any veggies you like on your salad that are FP, and top with dressing and the chicken. I like to toast the tortilla into chip points to add some crunch for the top.